3 Bedroom 2 bath house with a garage conversion to a bedroom. Large kitchen with lots of cabinets and storage. Separate formal dining room through arched hallway connected to kitchen with counter space. Laundry room is off the kitchen. Tile throughout the house. Covered back patio. Directions:From 417 take Boggy Creek Road South. Turn R onto Simpson Road. Turn R onto Royal Palm Drive. Turn R onto Alameda Dr.
SchoolsClick map icons below to view information for schools near 144 Alameda Drive Kissimmee, FL 34743. MFRMLS data last updated at April 23, 2019 3:41:02 AM PST. Home for sale at 144 Alameda Drive Kissimmee, FL 34743. Description: The home at 144 Alameda Drive Kissimmee, FL 34743 with the MLS Number O5760637 is currently listed at $202,000 and has been on the Kissimmee market for 78 days. 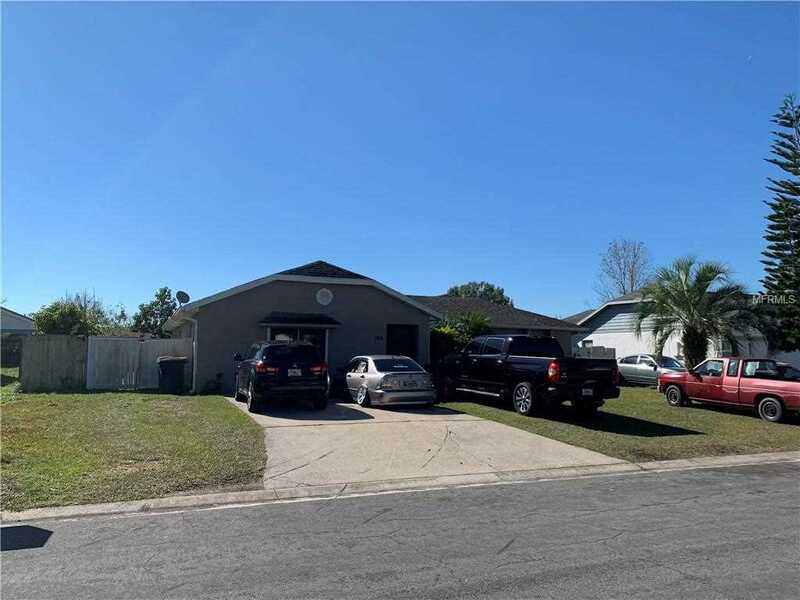 You are viewing the MLS property details of the home for sale at 144 Alameda Drive Kissimmee, FL 34743, which is located in the Buenaventura Lakes Unit 03 subdivision, includes 3 bedrooms and 2 bathrooms, and has approximately 2464 sq.ft. of living area.